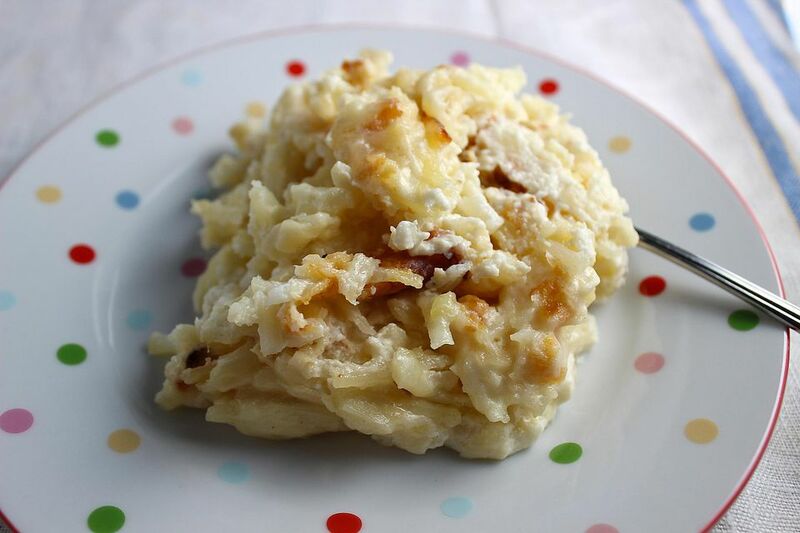 This fabulous rich and delicious side dish recipe for Creamy Hash Brown Potatoes is perfect to make for the holidays or for any entertaining occasion. It's very simple to make, once you get all of the cheese grated. It pairs well with everything from a holiday ham to roast chicken to meatloaf or broiled salmon. In a large bowl, combine potatoes, onions, garlic, and pepper, tossing until combined. Miix in all the cheeses. Place the potatoes into a glass baking dish, then pour the half and half over all of it. Bake potatoes, covered, for 40 minutes. Uncover, stir the potatoes, and bake for 15-20 minutes longer, until thoroughly heated, bubbly, and brown and crispy on top.